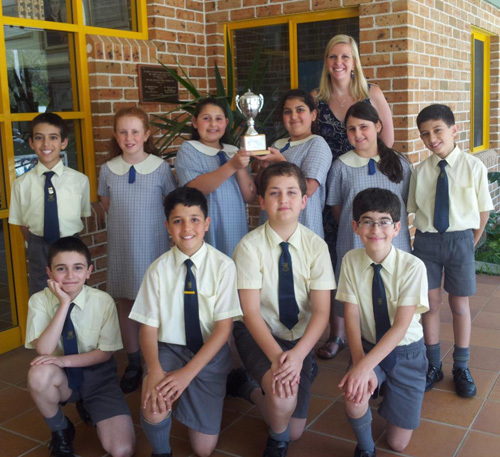 There’s just no debating it: students of the AGBU Alexander Primary School in Sydney, Australia, are some of the strongest public speakers in their district. 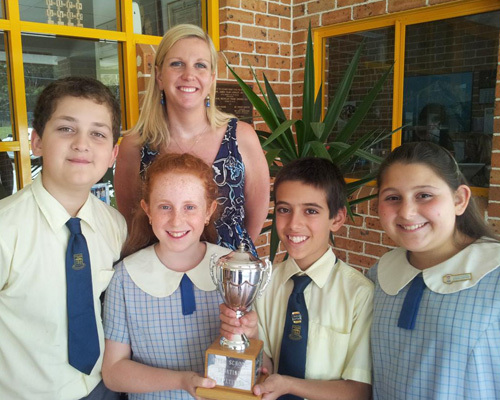 This month, for the eighth year in a row, the school’s debate team took home the winning title in the Forest District Interschool Debating Competition. During what was at times a nail-biting event, each student delivered strong arguments and rebuttals while friends and family proudly looked on. They finally scored winning points when they were presented with the topic “wisdom is better than strength.” Their reply – that wisdom may bring success in life, but it’s useless without strength of character – put the trophy in their hands. Mrs. Meaghan Terrey, the team coordinator, praised the group, remarking, “I am justly proud of their efforts and congratulate them on their researching of the topics, their presentation and delivery skills. They have learned a great deal.” She also noted that all the school’s students played an important role in supporting the team – and they all look forward to celebrating together! 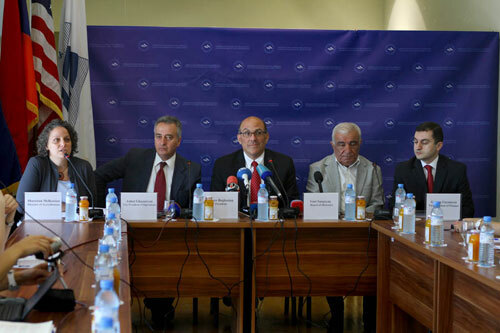 Another great achievement for higher education in Armenia was unveiled by the American University of Armenia (AUA), which receives substantial financial support from AGBU: the institution is launching an undergraduate degree program, set to begin during the fall 2013 semester. Interested students from Armenia and the diaspora are urged to visit the AUA site for information on application requirements (www.aua.am/undergraduate) and to learn more about the university. Or email AUA directly at ugrad@aua.am. 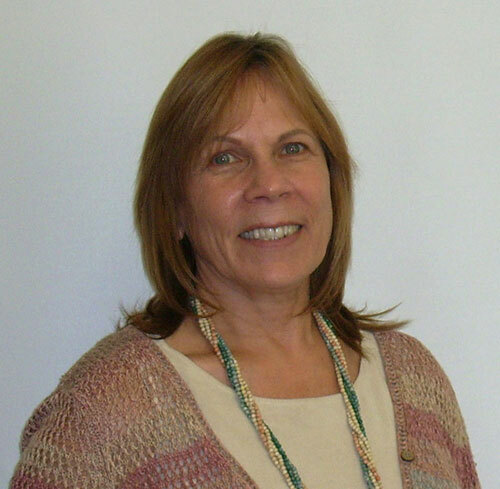 The AGBU Manoogian-Demirdjian School in Southern California had some exciting news to announce just before the start of the school year – Ms. Marie Stuart has been appointed as the vice principal of the elementary division. She brings 30 years of experience with her and we wish her all the best. Read the full release here. 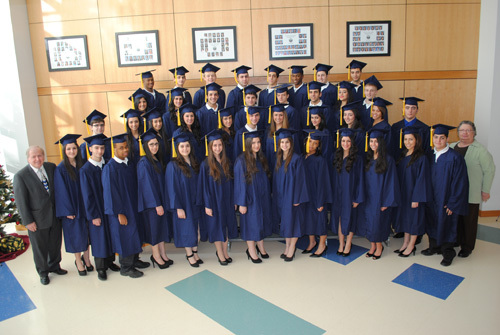 The 2012 graduating class of the AGBU Alex and Marie Manoogian School, which has been named one of the country’s top high schools by the U.S. News & World Report. The AGBU Alex and Marie Manoogian School is now in the national spotlight for its extraordinary academic achievements, having just been named one of the country’s best high schools by the U.S. News & World Report’s annual rankings. The Manoogian School was one of close to 22,000 public high schools across the United States evaluated by the esteemed publication. The careful selection process took into consideration a range of factors, including state proficiency exams, performance of least advantaged students, and college preparedness. The Manoogian School excelled across the board, and was honored with the bronze medal based on its high scores in math proficiency and reading proficiency, which is well above Michigan’s average. The school’s exceptional performance on state exams made it one of merely 13% of the total number of schools assessed by U.S. News & World Report to receive a bronze medal. The Argentinean-Armenian entrepreneur and philanthropist Eduardo Eurnekian has officially launched the New Educational Strategy (NUR) in Nagorno-Karabakh, joining an international movement to bring cutting-edge technologies to disadvantaged students. With AGBU’s support on the ground, Eurnekian, through the Fruitful Armenia Fund, his non-profit organization in Armenia, has begun to distribute over 3,500 brand-new laptops in elementary schools across the region.